Courtesy of Liz Moore & Associates. 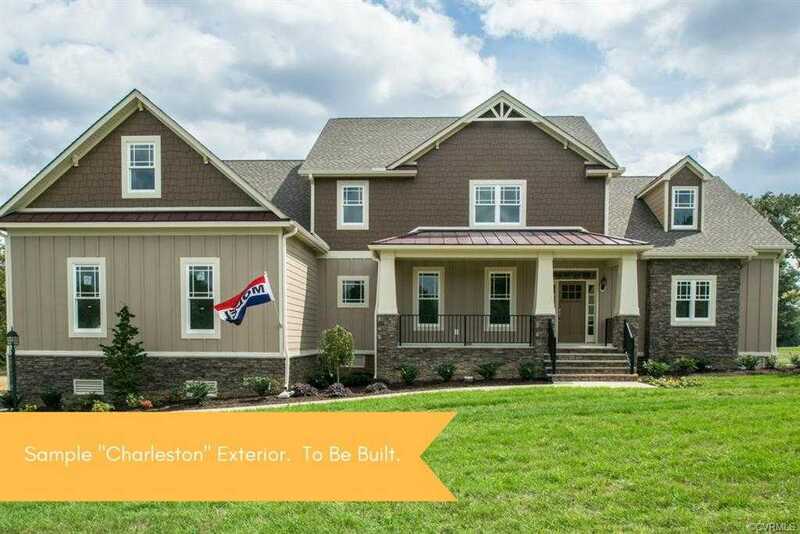 The award winning Charleston floorplan by NK Homes will be nestled on a 1.3 acre lot and is +4300 square foot home with two first floor bedrooms. The Master Suite is very spacious, has 2 walk-in closets, a luxury bath with soaking tub, tile shower, a dual sink vanity and its own entry to the rear deck. There is a 2nd bedroom tucked away on the opposite side from the master suite and it has its own full bath. There are many custom craftsman features throughout this expansive home including a beautiful hardwood staircase with craftsman posts & wrought iron pickets, custom trims and beautiful hardwood flooring. The gourmet kitchen and family rooms are laid out perfectly for family gatherings and entertaining. There is also a huge second floor bonus room perfect for another family area/game room/gym, etc. Also, this home has an option to add a third floor that would be perfect for a home theater or private office. To top it off there is Hardiplank siding as well as sod and irrigation. Only 10 Estate Home sites remain in this unique and convenient Hanover subdivision! Please, send me more information on this property: MLS# 1824173 – $599,085 – 4714 Mantlo Court, Hanover, VA 23111. I would like to schedule a showing appointment for this property: MLS# 1824173 – $599,085 – 4714 Mantlo Court, Hanover, VA 23111.